Why You Win With Medical Legal Spider; Interview By Ben Glass, Esq. Dallas, Texas & Atlanta, Georgia June 27, 2013. MLS specializes in assisting law firms and others involved in litigation of bodily injury cases grapple with unorganized medical records. 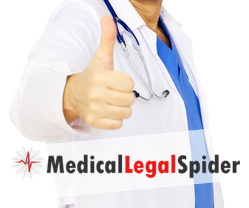 Medical Legal Spider is an experienced medical record service provider, having successfully processed over 40,000 medical-legal cases since 2007. Ben Glass, Esq., of Ben Glass Law and Great Legal Marketing recently interviewed Rick Litzky, VP of Business Development for Medical Legal Spider, a CAP Digisoft Solutions, Inc. company and global Business Process Outsourcing and Software Developer. As Virginia's leading Personal Injury attorney, Ben has found Medical Legal Spider filling a void in the largely fragmented market of litigation support companies. MLS specializes in assisting law firms and others involved in litigation of bodily injury cases grapple with unorganized medical records. "Obviously, I view my role as hooking up smart lawyers with smart folks and we're always looking for ways to make systems in law practices run easier, more productive and more profitable. It sounds like a no brainer to go and test." according to Ben. Law firms benefit from economies of scale and standardized processes, while receiving customized formatting for Medical Indexes, Chronologies and Factual Summaries. The results are busy litigators lowering out of pocket costs, identifying missing medical records far earlier, allocating 100% of medical record processing expenses to case files and increasing the productivity of Paralegals, Legal Assistants and consulting Medical Experts. Automobile & truck collisions, workers' comp, disability (SSDI, LTD and IDI), slips and falls. Mass tort litigation, product liability and class actions. Medical Legal Spider is an experienced specialty provider of medical record services, having successfully processed over 40,000 medical-legal cases since 2007. Navigating even the largest and most complex file is made extremely efficient with the availability of hyperlinks embedded in indexes and summaries, plus a customized keyword search application for instant review of source documents. All records are sent via secure, Industry Standard Secured File Transfer System protocol. Then, experienced reviewers utilize proprietary software tools. This combination of applied technology and skilled staff allows MLS to work effectively with both text and handwritten medical records and notes. To listen to the entire interview or read a transcript, please visit www.medicallegalspider.com. To learn more about Medical Legal Spider's services or to submit a test file, please contact Rick Litzky at MLS at 1-855-6SPIDER or by email rlitzky@medicallegalspider.com. 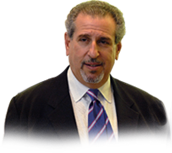 Ben Glass may be reached at Great Legal Marketing, at 888-791-2150.